Just like in previous years, MUTEC will once again be exhibiting in our usual spot (hall2, booth F01) at the upcoming High End show in Munich, Germany. We are looking forward to meeting you and having a chat about all things digital audio. Come by to find out what sound improvements our products have up their sleeves. The Japanese audiophile magazines Phileweb and Audio Accessory have recently reviewed the high-end clocking combination of MUTEC’s MC‑3+ Smart Clock USB and REF 10 master clock. Find out how the duo performed now. 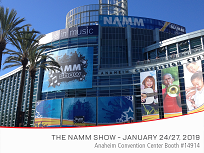 For the first time in the company history, MUTEC exhibited at the Winter NAMM‑Show in Anaheim, CA. Our new US distributor, TransAudio Group, put together a really nice booth to present their impressive portfolio of high‑end audio brands including MUTEC. Thanks to all trade partners, press associates, and customers that stopped by. Here’s our show in pictures! For the first time we will be exhibiting at the world's biggest pro audio and MI show in California. We had a great time at the 145th AES Convention in New York City this year, where MUTEC for the first time exhibited with the help of our US-distributor TransAudio Group. Here are some impressions from the show floor if you didn't have the chance to come by. Jay Luong at Audio Bacon just published an in-depth review of the MUTEC REF 10 reference master clock including comparisons with other offerings in the market and installation advice. Berlin, October 2018. CJ E&M Tooniverse is the leading anime television channel in South Korea operating its own studio facilities consisting of four dubbing rooms and two mixing suites. The clocking of these rooms has recently been upgraded with both iClock and REF 10 master clocks by MUTEC. Felix Klostermann reviews the combination of MC‑3+USB and REF 10 for the German online mag Bonedo. Read all about his findings here. German blogger and reviewer Fritz Schwertfeger recently did an extensive review of the MC‑3+ Smart Clock USB that also covers the exciting topic of cascading multiple re-clockers. Read all about his conclusions here! Berlin, August 2018. Electronic music acts like Sven Väth, Sascha Braemer and Karotte once again fired up techno fans at the Burning Beach Festival at Lake Brombach in Germany with an impressive horn speaker setup by REALHORNS SOUNDSYSTEMS. This year however, a sophisticated, highest-precision clocking and re-clocking setup by MUTEC played a central role in achieving even better sound quality as laid out in this case study. Berlin and Hong Kong, August 2018. Luen Hing Electrical (H.K.) Ltd., MUTEC’s existing HiFi distribution partner for Hong Kong, has just been enlisted with also distributing MUTEC products in Mainland China, Taiwan, and Macau. With the annual Hong Kong High End Audio Visual show just around the corner, the deal comes at a perfect time to showcase MUTEC’s products to a broad Asian audience. June 2018, Berlin. Audiofast, Poland’s leading high-end audio distributor is now the official distribution partner for MUTEC’s HiFi products like the MC‑3+ Smart Clock USB and the REF 10 Reference Master Clock. The deal was closed at the recent High End show in Munich, where MUTEC exhibited for the third time. MUTEC once again exhibited at High End Munich, Europe’s premier audiophile show. Here are some impressions from four show days at the MUTEC booth for you. The German online blog HiFi & Musik did an in-depth review of the MC‑3+ Smart Clock USB in three parts. Read the results here! MUTEC has signed Tom Porcell to boost its sales team. Since the beginning of the year Tom Porcell is now supporting the sales and support departments in German-speaking territories. Mastering expert Alex Kloss has recently added a MUTEC MC‑3+ Smart Clock USB to his high-end facility in Cologne, Germany. Here, the device has proven itself as an extremely versatile tool satisfying highest audiophile demands. The tenth annual Analog-Forum in Krefeld, Germany took place on October 21 & 22, 2017. This audiophile trade show with a family-friendly vibe has since garnered the attention of an international audience. In doing so it has shed itself from its elitist ‘analog-only’ reputation. Hence, MUTEC customer and digital audio aficionado Willem Zimpel represented the speaker brand Mundus-Naturschallwandler this year and used the MUTEC REF 10 for an exquisite listening setup. 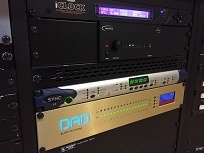 CSMusic&, one of the premier K-pop studios in Seoul, have recently upgraded the clocking infrastructure for both A and B rooms at the facility with MUTEC's iClock and REF 10 reference clocks. 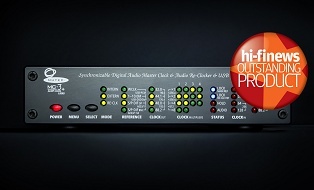 Sonic Korea Mastering adds REF 10 reference master clock to its high class clocking chain. 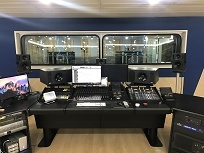 South Korean Mastering Studio Sonic Korea has just added the MUTEC REF 10 to their high-class studio. With 25 years of experience in mastering audio they certainly recognize an exceptional piece of gear when they hear it. As one of the first editors altogether, Harald Wittig had the chance to test-drive the new REF 10 for Fidelity Online. His mission: find out if the device can live up to the discerning expectations of audiophile listeners. July 2017, Berlin. MUTEC GmbH, manufacturer of professional and audiophile consumer audio equipment, proudly announces the REF 10 - the audiophile 10 MHz reference clock generator. May 2017, Berlin. 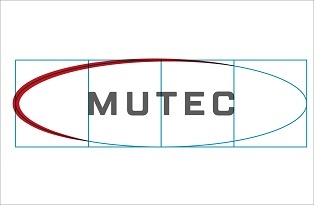 MUTEC GmbH, manufacturer of professional and audiophile consumer audio equipment, is proud to announce a design refresh of the corporate identity and product face plates. 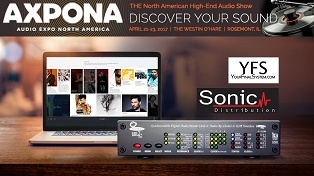 To repeat the success of last year's Rocky Mountain Audio Fest, we are once again teaming up with our partners at Sonic Distribution and YourFinalSystem.com for AXPONA 2017 in Chicago. Visitors can expect a world-class listening environment featuring products by MUTEC, YFS, and EMM Labs. Just got your head round the simplicity of connecting your computer to a DAC? HIFICRITIC editor Andrew Everard explains why the reality may not be quite as simple and how the MUTEC MC-3+USB comes to the rescue. January 2017, Berlin. Underlining our efforts of listening to customer feedback and improving the overall user experience with our product, we at MUTEC are excited to publish a quick start guide for the popular MC-3+ Smart Clock USB. December 2016, Berlin. MUTEC, German manufacturer of professional and audiophile consumer audio equipment, is proud to release a convenient utility app for firmware updates of the successful MC-3+ Smart Clock USB on Apple Macs. Author Dr. Roland Dietl of German online magazine HIFISTATEMENT had a close listen to the MC‑3+USB in his detailed review. Upon our suggestion he even tried cascading two units for an additional gain in sonic transparency and sound quality. 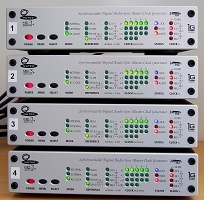 The MC‑3+USB delivered astonishing results that could be identified at ease - particularly when used for computer audio playback via USB. Moritz Hillmayer, editor in chief at German Recording Magazin, had a close look at MUTEC's MC‑3+ Smart Clock USB and explains the qualities of our REVIVE re-clocking technology in the current issue of the magazine. Experience MUTEC products first hand in Denver, CO on October 7-9. Our partners at YourFinalSystem.com and Sonic Distribution have graciously invited us to join them at this year's Rocky Mountain Audio Fest in Denver, CO. Together we welcome you to three days of audiophile bonanza starting on October 7th in a beautiful location. Room 7010 of the Denver Marriott Tech Center will be the place to be to experience MUTEC products first hand. The MC-3+ Smart Clock USB will be part of a first-class listening setup for you to enjoy great music and hear the device's stunning audio quality in action. Join us and our distributor Helios for two days of hi-fi galore on September 24th & 25th in Veldhoven near Eindhoven, NL. The X-Fi High-End Audioshow is growing to become one of the top audiophile events in Western Europe and we're excited to show you MUTEC's hi-fi products like the MC-3+ Smart Clock USB in high-quality listening environment. Thanks to first-class loudspeakers by ATC we will be able to discern the finest details in the music and judge each piece of equipment in the best possible way. The experienced British HiFi editor Andrew Everard recently had the chance for a close look at the bits and Kilohertz of the MUTEC MC-3+ Smart Clock USB. With every DAC he tested it with, the MC-3+USB impressed with clearly audible sonic gains! Willem Zimpel has been a long time MUTEC aficionado and he had the chance to beta-test the new firmware V1.10 for the MC-3+ Smart Clock USB as one of the very first users. Read his report to learn how the update unlocks even the last hidden treasures in digital audio. July 2016, Berlin. MUTEC, German manufacturer of professional and audiophile consumer audio equipment, is excited to introduce the firmware V1.10 for the popular MC-3+ Smart Clock USB. June 2016, Berlin. MUTEC, German manufacturer of professional and audiophile consumer audio equipment, is pleased to announce that Sound Mania is now the official distributor for MUTEC’s line of Hi-Fi audio products in Hungary. The deal was closed at the recent High End show in Munich, where MUTEC exhibited for the first time in the company’s history. Your Final System in Boulder, CO is a new dealer for MUTEC's audiophile consumer audio products. As a first measure of action the team put the MUTEC MC-3+ Smart Clock USB up against a range of other USB DDCs like the M2Tech Evo and the Channel Islands Transient MkII, and the results couldn't be more convincing. For the first time in the company's history MUTEC exhibited at the High End show, a convention for excellent consumer audio, at MOC in Munich this year. 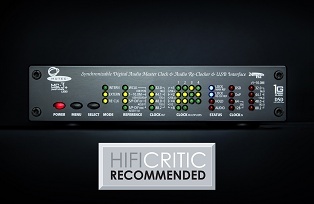 Keith Bevan of the Digital Audio Directions blog wrote an excellent review of our MC-1.2 USB interface and comes to a definitive conclusion: it is clearly the best sounding USB-to-S/P-DIF bridge he has ever had in the house. Like most of us high-end audio aficionados, Willem Zimpel of German dealer Schallquelle-Schwingungstechnik has subscribed himself to the lifelong quest for improving the sound quality of his listening chain. Even though he is a big fan of analog playback, he nevertheless keeps an open mind towards digital audio and has lately added digital sources such as a Windows laptop, several BlueRay players as well as CD drives to his setup. MUTEC’s MC-3+ Smart Clock USB now provides the center piece to his digital listening experience. It celebrates its world premiere on German HiFi online magazine LowBeats: we gave author Jürgen Schröder the exclusive opportunity for a pre-release review of the new MUTEC MC-3+ Smart Clock USB, which uniquely combines an exceptional audio re-clocker, an audiophile USB interface, and a lowest jitter master clock. November 2015, MUTEC from Berlin, German manufacturer of professional A/V studio and highest fidelity consumer audio equipment, will be shipping the new MC-3+ Smart Clock USB on November 20th. Setting a new benchmark for clocking technology and the reproduction of digital audio, the MC-3+USB uniquely combines an audiophile USB interface with an audio re-clocker in perfection. The team around the new audiophile German online magazine LowBeats put the MC-3+ Smart Clock through its paces in an in-depth review that includes a tutorial on the hot topics re-clocking and jitter. Thanks to MUTEC’s proprietary 1G-Clock technology the MC-3+ impressed with its high precision clock and re-clocking capabilities. Musical performances of the highest level, a massive technical effort and a fresh music event concept: this would be an accurate summary of the project that the German jazz collective "Filou" and the grooving string trio "Duck Tape Ticket" put together on June 16th & 17th at the domicil jazz club in Dortmund, Germany. At the center of it all: the MUTEC MC-3+ Smart Clock as the master clock to synchronize the recording setup! July 2015, Berlin. MUTEC, manufacturer of professional audio and video equipment, is pleased to announce that SCV Hi-TECH (Freevox group) is now the official French distributor for the MUTEC line of products. SCV Hi-TECH, established in 2009 and acquired by CSI in 2012, is the leading distributor for high-end pro audio and MI products in France and will merge with SCI into the Freevox distribution group this upcoming September. June 2015, Los Angeles. 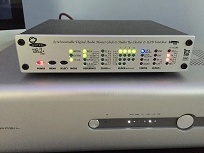 "Sol Invictus", the first Faith No More album in eighteen years, benefited from the sonic qualities of the MC-3+ Smart Clock at Maor Appelbaum's mastering studio in California. The native of Israel with a top-end mastering facility in Los Angeles never seems to grow tired of getting his hands on some of the biggest rock albums these days. The latest issue of German Recording Magazin features an in-depth review of the MUTEC MC-1.2 USB-Interface and fully convinced the editors of its sonic qualities: "It optimizes, it improves in nuances - it perfects." MUTEC, manufacturer of professional audio and video equipment, is proudly announcing that Micha Blum Broadcast Design in Jerusalem, Israel has been appointed as new distributor for Israel and Palestine territories. New York / Berlin, Dave Kutch, veteran mastering engineer and owner of The Mastering Palace in New York City, now trusts the MUTEC MC-3+ Smart Clock to handle clocking duties at his Manhattan mastering facility. In the past, Dave has mastered records for global hit artists such as Bruno Mars, Alicia Keys, Justin Timberlake, and The Roots just to name a few. MUTEC from Germany, manufacturer of professional A/V and HiFi equipment, now offers the MC-3+ Smart Clock with a black front panel option. The latest issue of the highly respected US pro audio magazine Tape Op features an in-depth look at MUTEC's MC-3+ Smart Clock. MUTEC from Germany, manufacturer of professional audio and video equipment, starts shipping the MC-1.2, a new USB audio interface for professional and audiophile use. November 2014, Deutsche Tonmeistertagung, Cologne - MUTEC has successfully finished the 28th Deutsche Tonmeistertagung in Cologne, Germany. The MUTEC booth was visited by lots of customers and A/V professionals. We had relaxed and interesting discussions, could built new business contacts and win already new customers for our upcoming products in 2015. MUTEC from Germany, manufacturer of professional audio and video equipment, starts to ship the new FMC-07 FlashROM expansion card which enables users of Yamaha Tyros 4+5, MOTIF and MOXF music workstations to double the memory capacity of their devices. The latest review of the MC-3+ Smart Clock is released in the November issue of Germany's no. 1 professional audio & recording magazine, the Studio Magazin. Read here what Fritz Fey, the Studio Magazin's chef editor, found out about the tonal qualities of the MC-3+ Smart Clock. MUTEC from Germany, manufacturer of professional audio and video equipment, starts to ship the new MC-3+ Smart Clock, the world's first digital audio master clock which incorporates MUTEC's new 1G-Clock technology. MC-4, the ADAT to AES3 Converter available again from Stock! MUTEC from Germany, manufacturer of professional digital audio and video equipment, ships again the MC-4, a multifunctional digital audio converter for ADAT, AES3 and S/P-DIF. MUTEC from Germany, manufacturer of professional digital audio and video equipment, now ships the new MC-1.1+, a multifunctional digital audio format converter. Our periodical newsletter provides the latest updates about MUTEC products as well as user stories and application advice.